When I was on Waitakere City Council it was my pleasure to have been involved in the opening of four new libraries out west. 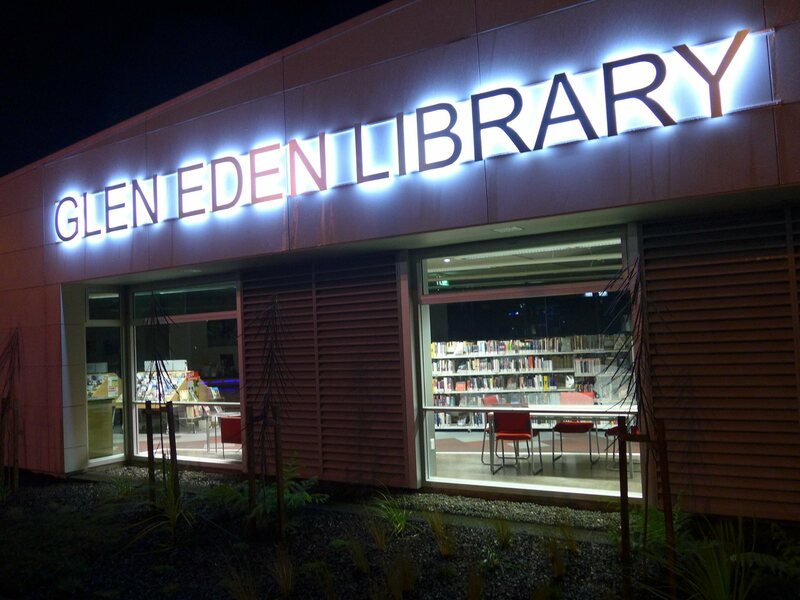 Admittedly the Massey library had been given the go ahead by the previous Council but the Henderson, Glen Eden and New Lynn libraries were all results of decisions that the Council that I was a member of made. I have always believed that libraries play a very significant part in our community. As well as being a repository of knowledge they also provide quiet safe havens for kids and perform the important socio economic role of giving everyone, no matter how poor, access to knowledge. In recent years libraries have morphed. The computer terminals are now just as important as the books. And the implementation of free wifi has given everyone access to the internet. As they should have. The digital divide clearly provides a block to poor kids from enjoying the same opportunities as rich kids and public authorities should do what they can to break this divide down. In the Waitakere Ranges Local Board area there are two Council run libraries in Glen Eden and in Titirangi. The local board is very supportive of them and in the last 12 months has authorised capital work to improve their settings. So I was disappointed yesterday morning to read that library hours may be cut back and there is a proposal for redundancies in the library workforce. More than 50 library staff at Auckland Council could lose their jobs before Christmas in a big shake up and cost-cutting exercise. The council is also looking at shutting 31 libraries between Christmas and New Year for the first time and making staff work at two or more libraries. Libraries general manager Mirla Edmundson said “resetting the library service” was in the early stages, but confirmed it could affect 1100 fulltime and part-time staff. Changes are expected to be decided in December and largely implemented by February next year. A freeze on recruiting new staff since the middle of the year could reduce the number of staff cuts, she said. A staff information document, Fit for the Future, issued on August 15 and obtained by the Herald, said there is a need to reduce staff numbers by around 5 per cent. Part of the reason for Fit for the Future is to make “significant savings’ as part of an organisation wide efficiency drive. The library budget is $65 million this financial year, of which staff costs make up two-thirds. The article claims that local boards had been notified in September. I have checked though my emails and with my fellow board members and none of us can find any sign of any such notification. There have been far too many staff restructures in Council. They are destructive, they harm staff morale and they have the detrimental effect of making good staff leave Council to take up other positions because their futures are far too uncertain. The overall change in staff numbers is relatively small at 5%. This should be able to be achieved by natural attrition and transfers, presuming that the case for change is made out. And Christmas is the most important time for poorer communities to have access to libraries. Unless there is an overwhelmingly strong case the proposal to close libraries at Christmas should not be proceeded with. The reform project has the quaint sounding title “fit for the future”. I wish the managers did not spend time designing dopey innocuous sounding titles for what essentially is cost cutting. They should call any such proposal what it is rather than relying on a positive sounding collections of words to justify something essentially negative. And if you want the raw data on library usage then locally library visits increased this year by 2% compared to the corresponding time last year. This was compared to a 7% decrease that occurred city wide. And the number of internet sessions increased by 80%, no doubt related to the provision of free wifi but nevertheless a sign of the important role libraries play. As our world becomes more frantic, faster, noisier, more virtual and more connected we need the slowness, quietness and space of a library more than ever. Great libraries, like all great buildings, change how you feel and this, in turn, changes how you think. “The only thing that you absolutely have to know is the location of the library,” Albert Einstein said. There is no “business class” in a library. Even for a dedicated capitalist it is civilised to have some places where no one is trying to sell you anything. As Caitlin Moran said on a cold rainy day, a library is the only sheltered public place where you are not a consumer but a citizen. Libraries provide support for many of the most vulnerable in society, the housebound, the lonely – sometimes the smelly, but that’s okay too. “I have had one gentleman tell me, over the counter, that he would quietly commit suicide if the library closed,” one librarian confessed. Some of the most popular topic areas are books on health and wellbeing. Libraries play a vital role in our communities. Any cuts to their budget need to demonstrate why the harm that will be caused is worth it.